(Heed my words for there comes the age of sword and ax, the age of wolfish storm. the Time of Madness and the Time of Contempt, Tedd Deiradh, the Time of Ending. It is a time of darkness and frost as the prophetic words of the elven seeress begin to unfold in stark reality. The lands of the Northern Realms have entered a long and desolate winter and are plagued by struggles, both internal and external. Left weakened from their conflict with the elves and the Southern Empire of Nilfgaard, the Northern Realms now face other, possibly more urgent, threats to their security. The long winters have ravaged the countryside and creatures of shadow and darkness, monstrosities that feed on the fallen citizens of the land, roam freely across the countryside. Rising in response to the rumors of deliberate necromancy and the prophetic words of Ithlinne, an sect of monk-knights known as the Order of the Burning Rose has emerged to preach liberation through the purification of fire. Thus the stage is set for the coming of Geralt of Rivia, a Witcher known as the White Wolf, as he returns from an extended absence to Kaer Morhen. 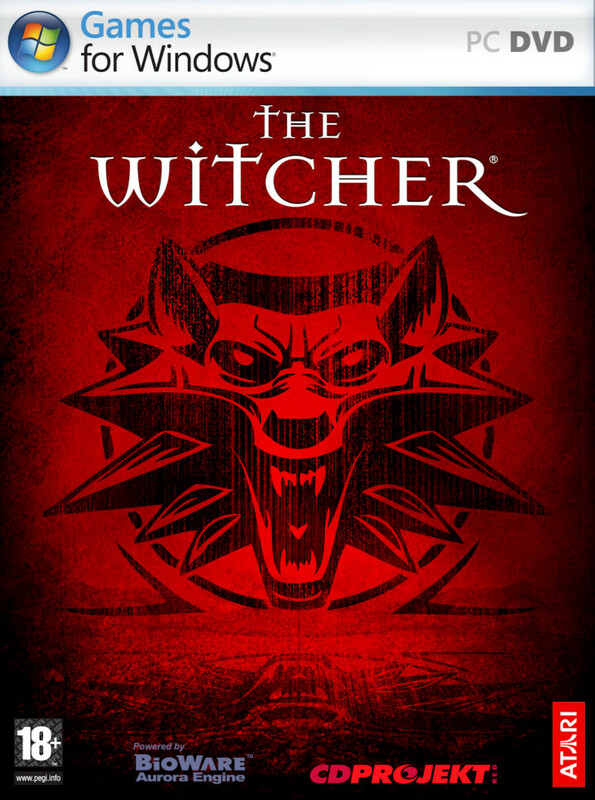 A legend among the Witchers, a brotherhood of warrior hunters who have been bred and trained to hunt down and slay the supernatural monstrosities of the land, Geralt arrives home to find it besieged by unknown mercenaries. Assisting the few remaining Witchers within the stronghold, Geralt is catapulted into the struggles of the Northern Realms in his attempts to locate those responsible for the assault on Kaer Morhen. What he discovers could either be the key to the salvation of the entire world or its demise. The Aurora-powered graphics bring the world of The Witcher to life and enhance an intricate, multi-layered story. While the game itself does possess the standard hack-n-slash encounters, it also possesses the qualities that have made some of the most popular RPG games successful. Namely, it allows the player to realistically interact with other characters and NPCs within the game and explore the many different tasks and quests with a variety of approaches. By accomplishing these quests, The Witcher can increase his skills and abilities without having to rely solely on vanquishing enemies. A fundamental aspect of the game is how the character's actions and the choices the player makes will influence and directly impact the outcome of the game. In fact, dependent upon which choices are made throughout the length of play, there are three different endings possible. Experience points achieved through the completion of quests can be applied to the character's statistics, abilities, and skills at the whim of the player. The result is the creation of a unique character that is crafted to the tastes of the individual player. Even the choice of weapons and gear will alter the appearance of the character in the game. To further enhance the player's ability to tailor the character to his or her wishes, combat has been broken up into three main combat styles balanced, offensive, and defensive. The player is free to pursue whichever path he or she desires.